Let's not beat around the bush. Your three-month Pre-Service Training (PST) is probably going to be the most stressful part of your 27 months. It really is like boot camp because it can cause trainees to question their resolve to become a PCV. But if you make it through (you will! ), life levels out, slows down, and becomes far easier. 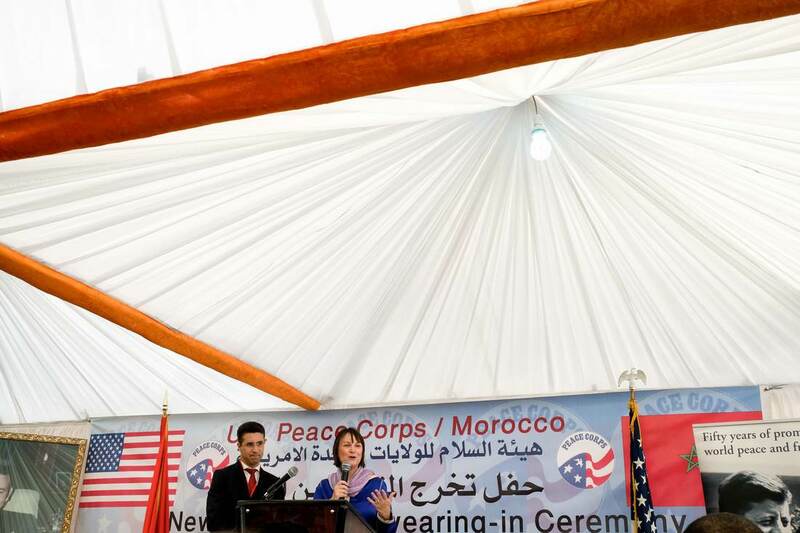 Every year PC Morocco takes input from Peace Corps Trainees (PCTs) about what worked and didn't work during PST and they make appropriate changes. As a result, the information below may be shwiya​ (a little) different than what you are going to experience. Staging (usually in Philadelphia) is a one-day event which, in all honesty, is a fill-0ut-some-paperwork-and-get-to-know-other-people session hosted by PC Washington. Here, once you sign in, you will officially be dubbed a Peace Corps Trainee (PCT). If people accompany you to staging, you can either say goodbye to them in the morning so you can mingle with other PCTs, or they can meet you after the staging event for dinner. The next day is a travel day. You will spend the entire day going to and waiting at JFK airport in New York. You will then fly overnight to Casablanca and begin orientation. Your talk, text, and data will freeze when you reach the maximum amount allotted. You will then have to wait until the 1st of the next month for everything to reset. More information is on this phone guide! During orientation your staj (PC Morocco's term for your training group) will be divided in half to make training more efficient and organized. You may also stay in these groups for split trainings throughout PST. Near the end of orientation, you will be further divided into Community-Based Training (CBT) groups of five or six trainees. A Language & Culture Facilitator (LCF) will lead your CBT group in basic language and culture sessions. Before you know it, it will be time to move to your first Moroccan home: your CBT site! CBT can be a confusing and overwhelming time. The day you arrive in your CBT site, members of your assigned host family will pick you up from a pre-decided place: your LCF's house, the taxi stand, etc. This is the first time during your service that you will be the lone American in an unfamiliar culture. 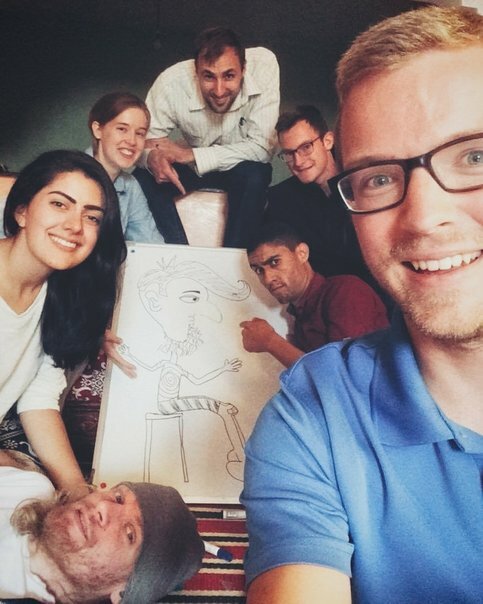 Unless you have have studied any dialect of Arabic before orientation, you probably won't be able to communicate with them. You will eat with your right hand, likely use a squat toilet (we call them "turks"), and your nearest WiFi will probably be at the cafe down the street. ​It helps to remember that any language cannot be learned overnight, and that a hundred other PCTs are going through the same thing you are. Use your friends in your CBT, your hub, and your staj for emotional support. Use your LCF for any communication issues with your host family. Because communication involves both speaking and physical movement (including facial expressions), you may be surprised how much you will be able to communicate. 8:30 AM - 12:30 PM -> language learning at your LCF's house! You will focus mainly on speaking and listening t0 Moroccan Arabic (Darija), but as CBT goes on, you will learn how to read and write Arabic script. 2:30 PM - 6:30 PM -> the afternoons are dedicated to various activities as necessary. Sometimes you will have culture lessons, sometimes you will go to a local dar shabab (youth center) to work with youth, sometimes you will prepare for an upcoming hub, sometimes you will go out into the community to apply your Darija knowledge. 6:30 PM -> kaskarot, the extra meal between lunch and dinner which can range from a small snack to a veritable feast. Every now and then you will have a scheduled "travel weekend" which allows you the option to leave your CBT site for two days and one night anywhere in Morocco. You are also free to remain with your host family. PC staff and volunteers provide further logistical, cultural, and technical information. They provide much-needed breaks from the stress that accompanies living in your CBT sites. Hubs are generally three or four days long and cover a lot of important topics. In addition to continued logistical and cultural sessions, you will attend technical sessions that directly relate to your work as a Youth Development Volunteer. Such sessions include how to teach English classes, how to work with counterparts, how to incorporate committee resources into your work, how to monitor and report your programs, and the like. Because sessions only take place in the mornings and afternoons, you are free to explore the hub city in the evenings. You will have a couple conversations with some regional managers throughout PST. Topics will include your interests, academic background, hopes, fears... really, they just want to know more about you to see where in Morocco you'd fit in. During these conversations, tell them what you want in a site. What you say will be taken into consideration; therefore, if you say it, make sure you mean it. Some volunteers have asked for a specific city and got it, others picked a specific region and got it, others said they'd go anywhere. Maybe you want to live in the mountains or desert, or you want an Amazigh site, or you want to open a new site and be the first PCV there, or you want a site mate... the sky is the limit. However, expressing your wants does not guarantee ANYTHING. You may get sent somewhere you never expected, which can be difficult because your preconceived expectations won't match the reality. Remember that this is Peace Corps, and one of the expectations is your flexibility. You may end up very surprised that what you asked for is exactly what you got. You just might not know it yet. In the seventh or eighth week of PST, you will receive your site assignment at hub and thus you will know where you will live and work for two years. You will have the opportunity to talk with your assigned regional manager about your site and learn more about why you were chosen for that site. You will visit your new home for one week following site announcements. This is a time to meet your second and final host family, meet a few important people in your future community, visit potential work sites, and essentially get your face known before you move back permanently. After your site visit, you will return to your CBT site and continue training and hubs. There will be additional language training Amazigh languages for those PCTs who have been assigned to Amazigh areas. Most of the south hub as well as the north hub's mideast region will need to learn at least basic greetings in Tamazight or Tashelheet, depending on your site. 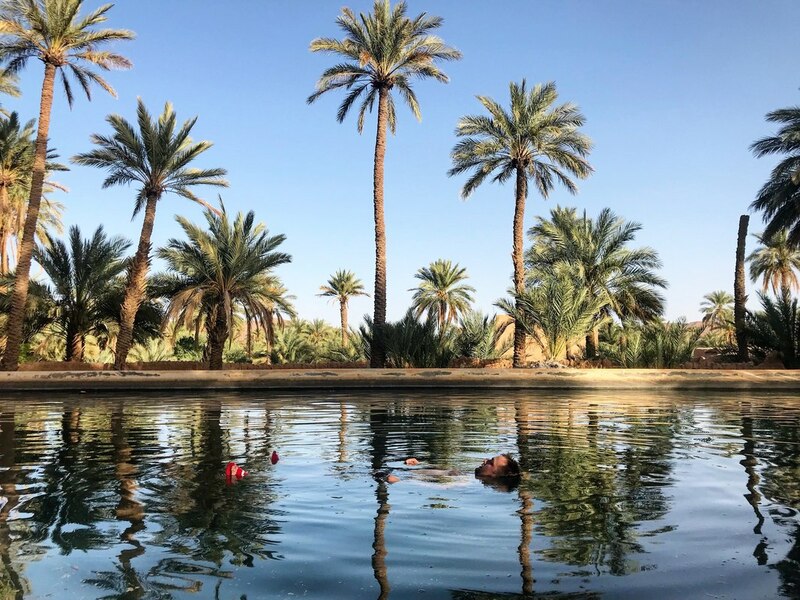 Sites will vary in terms of need; for example, some rural sites in the High Atlas speak Tamazight only, while bigger sites in the southwest require mostly Darija with a little bit of Tashelheet. Arguably the most important - and certainly the most fun - hub is the last one in early December. While some of the days have additional information sessions and vaccinations, there tends to be much more time for PCTs to socialize and spend time together before scattering across the country. Following the ceremony you are free to explore the city, spend time with friends, and enjoy the rest of the day. You will head to your permanent site the following morning. Triq salama (peaceful trip)! Up to two weeks before swearing-in, PC Morocco staff members will conduct one-on-one interviews with each PCT. These interviews are meant to assess your communication level of Darija in order to give you appropriate support throughout the rest of your service. 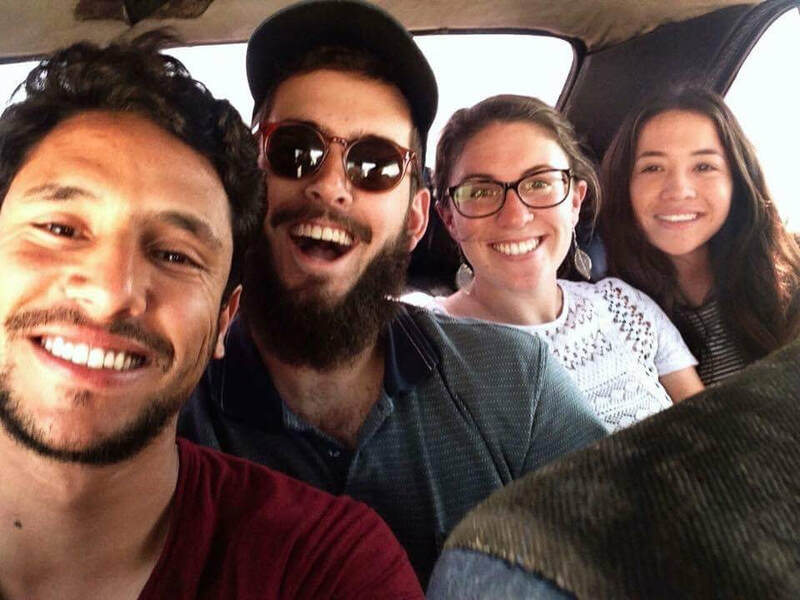 Due to Darija being one of Peace Corps' hardest languages to learn, you only need to achieve the Novice High level to reach PC Morocco's expectations. Specifics about levels will be given to you during PST.